Located in San Miguel County, Mountain Village is nestled in the heart of the Uncompahgre National Forest, encompasses 3.27 square miles, and has become a vision of alpine elegance. Highway 145 is the major roadway leading to the town’s entrance with Telluride Regional Airport (TEX) less than five miles away. According to the 2010 Census, Telluride Region’s total population is 5,865 with almost 4,000 people between the ages of 25 and 64 living here. Located at such a high altitude translates to dry air, low humidity and intense sunshine. On average, the warmest month is July with temperatures reaching in to the high 80s. In the summertime, afternoon showers are frequent and evening temperatures may drop below 50 degrees. In winter, the coolest month is typically January, and the snowfall varies winter-to-winter; the Telluride Ski Resort provides a daily snow report. As for Fall, the last two weeks in September and the first two weeks of October are exceptionally beautiful due to the fall foliage. The total actual value of all real property in Mountain Village is $2.4 billion, and the current average price of a single-family home, excluding deed restricted homes, is $4.9 million. The towns of Mountain Village and Telluride are two separate, distinct towns with their own government. 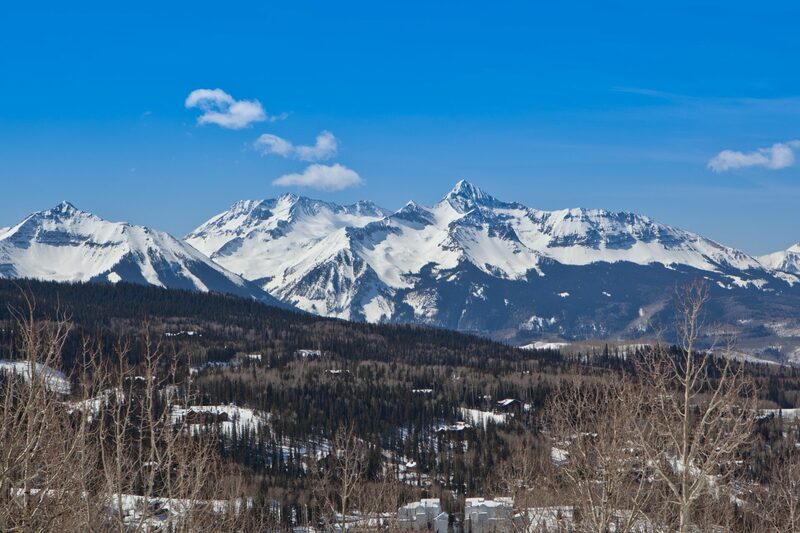 Mountain Village sits at 9,545 feet and Telluride sits at 8,750. They are joined by a gondola system, which is owned and operated by us – the Town of Mountain Village. Mountain Village became a Home Rule Municipality March 10, 1995. Before 1995, it was an unincorporated country area. The Town of Mountain Village and the Telluride Mountain Village Owners Association (TMVOA) are to separate entities. Mountain Village runs and governs the town and TMVOA is a master homeowners association for all property owners with event sponsorship, gondola funding, grant awards, and community research their primary areas of focus. Mountain Village operates a number of businesses – Enterprise Funds – under the umbrella of the town. They are Cable and Broadband,Mountain Munchkins, Parking, Village Court Apartments and Water and Sewer. Mountain Village Town Hall is located on the second floor above The Market at Mountain Village in Town Hall Plaza. The address is 455 Mountain Village Boulevard Suite A and the main phone number is 970.728.8000. If you are looking for a specific person or department, search our Staff Directory. Mountain Village Center is the town’s business district/downtown area of Mountain Village. It is pedestrian-friendly and houses condominiums, shops, restaurants, bars, business offices and public plazas. Mountain Village Center also provides direct access to the ski slopes and summer trails. The Meadows neighborhood is where a large population of local residents live year-round. With its many condos, town houses and single-family developments, the area is enhanced with trails and a playground. Colorado schools are organized by school districts. Mountain Village is part of the Telluride R-1 School District, which has won many accolades over the years. The schools are located in the Town of Telluride. The main performing arts venue in Mountain Village is the Telluride Conference Center. There is also an outdoor concert venue in the summer located in Sunset Plaza. The Telluride Medical Center and Sunshine Pharmacy and Apotheca are located in the Town of Telluride along with the Visitor Information Center, library and churches. Mountain Village is part of the Telluride Fire Protection District with a station located at 411 Mountain Village Boulevard in Mountain Village. In 2006 Colorado Governor Bill Owens signed the Colorado Clean Indoor Air Act, which bans smoking in public places, including restaurants and bars. For those that choose to smoke outside, they must be at least 15 feet away from a public entrance.